2018Two remote countries – Pisha in the east and Heile in the west – have been at war for a century. Two remote countries – Pisha in the east and Heile in the west – have been at war for a century. With no official communication, message deliverers make deliveries between the two countries in secret. Kun, a message deliverer fluent in several languages, is a famous translator in Pisha. He is asked to deliver a donkey named Xie from Pisha to Heile, the client insisting that the donkey itself is also a message. As the story unfolds, deliverer discovers that donkey can hear ghosts, see the shapes and colors of voice, and understand the human mind. In this exotic world, the sounds of human, donkey, wind and smoke are all sending messages to faraway lands. The deliverer and donkey travel across battlefields and desserts, witnessing incredible stories of war, death, darkness and communication. 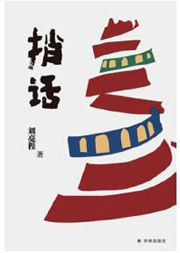 ·The latest novel by Lu Xun Literature Award winner Liu Liangcheng. ·An exotic, mysterious and philosophical adventure of a message deliverer and a donkey. ·A cruel history of war and interaction between neighboring countries.